254 pages | 97 B/W Illus. The growing movement towards evidence-based healthcare design has largely emphasised a change of culture and attitudes. It has advocated for new ways of working, but until now, it has not focused on equipping healthcare clients and their designers with the practical means to exploit the potential benefits from evidence-based architectural design. Development of indicators and tools that aid designers and users of the built environments in thinking about quality enhances the design process to achieve better outcomes. Importantly, design tools can support managers and designers through end-user involvement and an increased understanding of what patients and staff expect from their healthcare facilities. They can facilitate the creation of patient-centred environments which improve user satisfaction. Discusses the tools that are being used to achieve, design quality and excellence within the context of NHS procurement systems such as PFI, Procure21 and others. 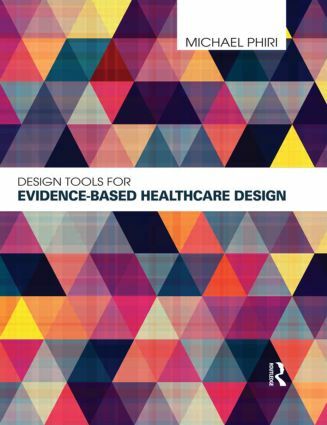 Illustrated with case studies from throughout the UK and written by a well-known expert in the field, this book will provide essential reading for anyone involved in healthcare design. Michael Phiri is the author of nine books and over 50 technical reports. He is the Director of Healing Architecture Research at the University of Sheffield and a chartered architect with over 20 years post-qualification experience in both private and public practice. He has research and teaching experience from Sheffield, York, Edinburgh, Heriot-Watt and Strathclyde Universities.